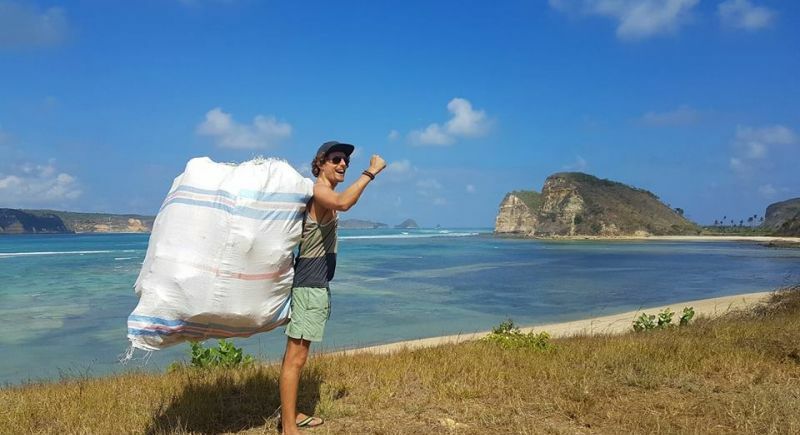 Tijmen (Dutch) left Australia to go to Asia during his backpacking adventure, in 2012. He was shocked to find polluted areas everywhere. Going back into his travels by the end of 2017, he learned that the problem of pollution had spread throughout the whole of South-East Asia. The next day he cleaned up a river in Phnom Penh, Cambodia. His cleanup gained a lot of attention. Tijmen wanted to share his adventure, demonstrating how individuals can really make a difference. Initially he wanted to make a video compilation of his cleanups to show what influence one individual has. The day after, Tijmen was astounded with what he found, ten other individuals with two trucks and two tractors, were cleaning out the beach he already started on. They even managed to clean a second beach! He was then invited by the local government to talk about the problem of pollution. Realizing he had started such a big momentum, Tijmen used his viral peak to start his community Facebook page ‘The Trashpacker’. “I realized that awareness is the first step into solving our global pollution problem”. The following day he cleaned up a polluted area in Semporna (Malaysia), pointed out by people in a restaurant who recognized his face. This time, 13 children decided to help him clean. The video he made of this event even made the Malaysian and Chinese news. His Facebook page then grew by 10,000 followers in a week. Eversince, Tijmen went trackpacking from north to south Borneo and hosted cleanup events in each city where he came. In total 442 locals joined him and they’ve collected 959 bin bags! At the same time people were sending him pictures of their own cleanups. A movement was then born.